There is a wealth of history and culture near Beachside Holiday Park. The West Cornwall Peninsula is an area with a truly rich historical and cultural heritage, a fact that is easy to see given the variety of fascinating educational attractions on offer here, popular with holiday makers and residents alike the county remains a popular place to visit. Look just below the surface and you’ll discover how much there is to learn about Cornwall and what has made it the place it is today. All of the attractions below are suitable for the whole family and promise an intriguing and informative visit. The Minack is a theatre unlike any other. Rather than stage curtains and conventional theatre sets, the Minack’s backdrop is nothing but the stunning expanse of the sea where it meets the cliffs at Porthcurno. A perfect way to spend a long summer holiday evening, there are always a great range of performances happening, from Shakespeare and traditional proms to musicals and opera. Check the website for more information about this year’s shows. 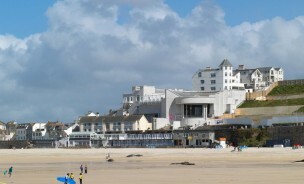 Part of the world-renowed Tate group of galleries, Tate St Ives has a distinctively local feel, with exhibitions by artists from Cornwall, such as the St Ives Modernists and the Newlyn School, as well as work from around the world. The gallery houses regularly updated exhibitions of modern and contemporary art, including paintings, prints, sculpture and installations. 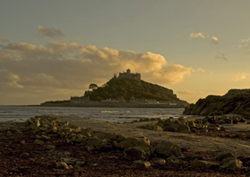 Unmistakably dominating the view of Mounts Bay in Marazion, you can reach St Michael’s Mount either by boat at high tide, or on foot via the causeway when the sea is out. 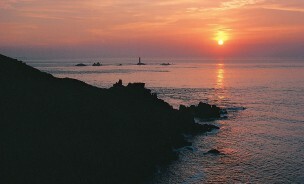 A must-visit attraction while on holiday in Cornwall, the impressive fortress sits atop its own beautiful island. There are spectacular views from the castle turrets and lush, tropical gardens to explore next to the historical village. 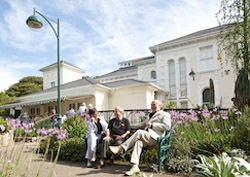 Found in Penzance, the Penlee House Gallery and Museum has a special focus on well-known artists from the Newlyn School and the Lamorna Group. The house itself is an stately Victorian home surrounded by manicured gardens, perfect to explore after admiring the exhibits. Penlee’s museum delves into the history of Cornwall and the region, with information about archaelogical sites and artefacts on display.